Machine Learning [ML] has become a term everyone is accustomed to hearing about, yet it still feels very distant to many. Some people can be led to believe that only highly technological environments make use of it. Machine Learning however, does play a role in everyday life, whether people realize it or not. Below you can find examples of services using it for their everyday operations, to maximize their potential and improve their business. You may even find that you're using one or even all of these services yourself on a daily basis, and in consequence benefitting from ML. If you've been a Netflix subscriber for some time now, you might start getting recommendations that are very on point, it would appear as if the service really knows you. All of a sudden you're knee deep into a series you didn't know existed two weeks ago. How can this be? Netflix uses a series of complex algorithms and Machine Learning to identify audiences they call “taste groups”, to identify what is important within the data, and to recommend shows not only based on preference but on viewing activity. A simple way to begin to understand their process is through the terms explicit and implicit data. This means that if you give a thumbs up to Stranger Things (because how could you not? ), you are giving a piece of data of exactly what you like, this is what we would call explicit data. Binge watching Chef's Table nonstop lately? Can't get enough of Peaky Blinders? Binge watching, how often you watch a certain series, and what you watched before and after are all examples of implicit data, what your viewing behavior says about your profile. One of the most important parts of ordering food is knowing when it will arrive, ensuring that you, the customer, won't go hungry for too long. 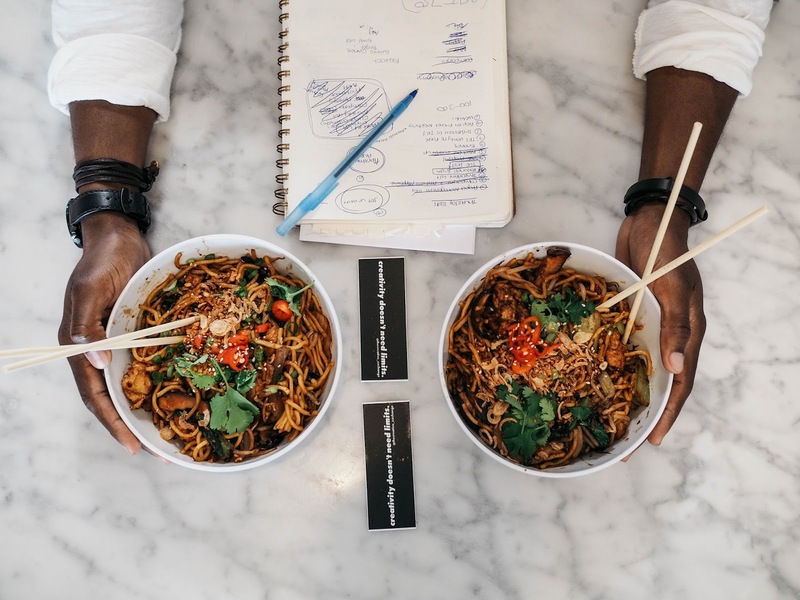 Food delivery companies have dedicated themselves to creating custom platforms, which allow them to make better use of the data that is generated through time, and with this, ensure that wait times are short, and drivers make the best use of their time. Figure 1: Next time you order takeout, remember how ML helped get it there on time. UberEats for example, uses an internal internal “ML-as-a-service platform” as they call it, to give the most accurate ETD (estimated time of delivery). Michaelangelo,created in 2015, helps the company make the best use out of machine learning internally and for each of their products. It creates models, makes and monitors predictions. This platform was designed to help data engineers and data scientists have a system they could use, as opposed to having to use different tools and have different teams building custom systems for specific projects. It has become a unified platform that all teams can use. Once an order is placed, data is collected based on time or order placement and the delivery location, historical features such as meal preparation time from the last week and average preparation time for the last hour are all used to determine how long the delivery will take. Another food delivery company also relying on Machine Learning is Deliveroo, founded in the UK and operating across 12 countries. Dan Webb, VP of Engineering at Deliveroo has stated that they use data to give the best possible experience on their platform. One significant way in which data becomes crucial for riders to have the best routes, not only time-wise, but to ensure they are also earning the most they can out of every delivery made. Here at LUCA, one way optimal routes are detected is with LUCA Fleet. Time is as valuable as ever, and data in this sense, has become an asset to make the best of it. How does Deliveroo calculate all of this? That's a job they have given to Frank. Deliveroo has created a dispatch engine called Frank, whose job is to give out the most efficient route combinations between orders and riders, and make use of the real-time data that is being collected. Living in a big city means endless leisure, job opportunities and people but it can also have setbacks such as high volumes of traffic and long commutes. Ride sharing apps have become a lifeline for many people, not only to reduce the need for owning their own vehicle but for time and money saving purposes. Apps like Uber, who rely on Machine Learning for food delivery also rely on machine learning for their primary service, ride sharing. If you're a seasoned Uber rider, you might be familiar with the term surge pricing. This means that your regular ride to work is now triple the cost, and your Monday is not off to the best start. Figure 2: Uber relies on their Machine Learning platform to control surge pricing. 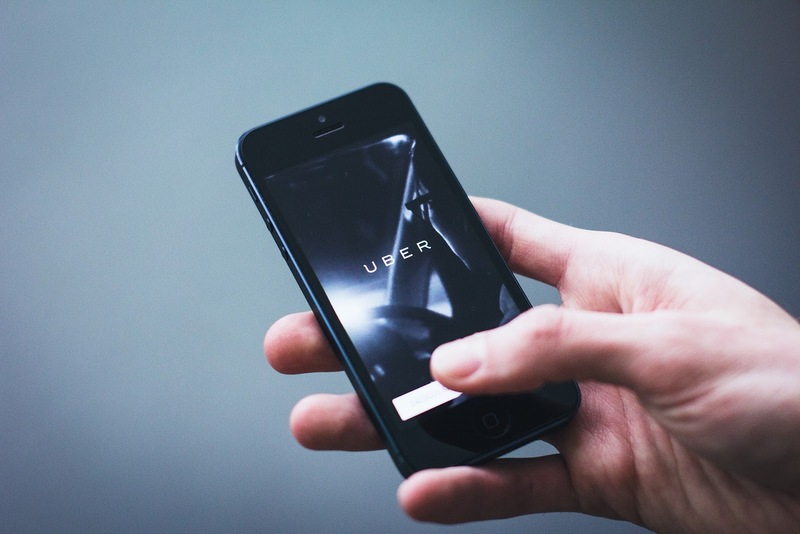 Jeff Schneider, the Engineering Lead at Uber Advanced Technologies explained that through Machine Learning, surge pricing can be predicted and controlled so it can ideally be avoided. Holidays for example, present a high demand for drivers and is a given; but ML really kicks into high gear during those unexpected moments, those days when nothing out of the ordinary happens and there is a rise in the demand. With these predictions already recorded, Uber can get that information out there and have their supply ready to prevent a rise in price. But what about those who have their own vehicle? How can Machine Learning help car owners? That's precisely what the creators of CARFIT wanted to address. Both had experience with wearables, and had been working on an algorithm that would detect the exercise type of the wearer; when they quickly realized it could be applied to car ownership and maintenance. Three elements compose the CARFIT platform: CARFIT Puls (sensor that detects vibrations) which goes attached to the steering wheel, CARFIT app and CARFIT vibration database. The great things about the vibration sensor is that it immediately sends data not only to the app, but also to the company that installed the device. By applying machine learning combined with the help of data scientists, patterns can be identified and compared to known issues in tires, brakes, shocks and other key elements, to check if there is a problem. This will predict maintenance needs, and give partners information about the vehicle. After going through the different services above, it can be observed that machine learning really is intertwined with day to day activities; that are not so distant after all. As companies begin to understand the power of data, and adapt internally to be able to fully embrace it, these examples above come to prove how early adopters and ones already on the data train, have been able to boost their sales and services through successful applications of Machine Learning.